Below is a Google Map with pins showing the location of all known sightings of the False Widow Spider in the UK. If you know of a sighting that is not shown on this map, please contact us with us much information as possible. So far we have seen reports of specific sightings in: Torquay, London, Sutton, Aberdare, Stoke-on-Trent, Plymouth, Essex, Redcar, Dawlish, St Ives, Bolton, Shrewsbury, Richmond, Twickenham, Royal Tunbridge Wells, Perth, Northampton, Guildford, and many other locations! We want this to be an accurate map detailing any reported sightings of the false widow spiders as a resource for people to see if they are known to live in their area. It’s also a great reference for anyone who might just have a general interest in the subject. If there is something that we have missed, or you would like to report a sighting yourself, please contact us directly. One of the team will get back to you quickly. It is thought that the reason there have been increased sightings of the false widow spider in the UK is due to climate change with milder winters over the past few years. This has meant that the spiders have been able to adapt and live in the slightly colder climates outside of the south west of the UK and spread further north. 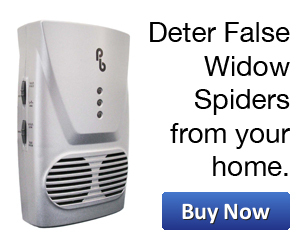 If you would like more information on where false widow spiders can be found in the UK and the reasons behind this, please check out the article “Where Can The False Widow Spider be Found in the UK?” on our blog. You can also visit our “Location” category for up to date articles on sightings and some of the reasons behind where false widow spiders are known to be living. As usual, if you would like to contribute any additional information or feel that we have missed anything, please do get in touch.